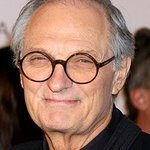 Stony Brook University’s 2013 “Stars of Stony Brook” Gala will honor one of its own this year, actor-director-writer-educator and six-time Emmy and Golden Globe Award winner Alan Alda, on Wednesday, April 24 at Pier Sixty at Chelsea Piers in New York City. Mr. Alda is being honored for his central role in creating and growing The Center for Communicating Science (CCS) at Stony Brook University. A vital new approach to education, The Center works to enhance the understanding of science by helping train the next generation of scientists and health professionals to communicate more effectively – via techniques including improvisational theater workshops – with the public, public officials, the media, and others outside their own discipline. Since 2009, Mr. Alda has served as a founding board member, frequent visiting professor and media ambassador for CCS, which operates under the auspices of Stony Brook’s School of Journalism and its founding dean, Howard Schneider. Mr. Alda has had a lifelong passion for science. After interviewing more than 700 scientists in his role as host of the PBS series Scientific American Frontiers, he realized how important it is for scientists to possess strong communication skills. To meet this need, he played an important role in creating Stony Brook’s Center for Communicating Science and remains actively involved in its work, including championing workshops that use improvisational theater games to help scientists communicate more directly and personally. The Center for Communicating Science (CCS) was established in 2009 at Stony Brook University, part of the State University of New York, with the cooperation of Brookhaven National Laboratory and Cold Spring Harbor Laboratory. It is located within the Stony Brook School of Journalism, with a multidisciplinary steering committee of science faculty members. CCS works to enhance the understanding of science by helping train the next generation of scientists and health professionals to communicate more effectively with the public, the press and the many decision-makers outside of their own discipline. Central to its mission is the belief that scientists have a responsibility to share the meaning and implications of their work, and that an engaged public encourages sound public decision-making. In addition, the ability to communicate directly and vividly can enhance scientists’ career prospects, helping them secure funding, collaborate across disciplines, compete for positions, and serve as effective teachers. CCS offers a range of instructional programs for science graduate students and scientists, including workshops, conferences, lectures, and coaching opportunities, as well as credit-bearing courses offered through the School of Journalism. The Center’s groundbreaking “Improvisation for Scientists” is a three-hour workshop spearheaded by Mr. Alda. The goal of schooling scientists in improv theater techniques is not to turn them into actors, but to free them to talk about their work more spontaneously and directly, to pay dynamic attention to their listeners and to connect personally with their audience. Now in its second year, “The Flame Challenge” presents a challenge to scientists around the globe, to communicate complex science in a way that will interest and inform an 11-year-old. The question put to the worldwide science community in 2012, “What is a flame?” garnered participation of over 800 scientists and was ultimately judged by 10,000 11-year-olds around the world. The 2013 campaign, which poses the complex question “What is time?” has more than doubled with 20,000 students participating worldwide. As in 2012, the winner of this year’s competition will be announced by Mr. Alda at The World Science Festival in June. CCS is today also working to develop new approaches to curriculum and establish a clearinghouse for best practices and a supportive network of institutions working to improve public communication of science. For more information, click here. The Stars of Stony Brook Gala begins with a cocktail reception at 6:30 PM at Chelsea Piers, followed by dinner at 7:30 PM. To reserve tickets, inquire about sponsorship, or for more information, call 212.245.6570, ext. 15 or email tamaral@eventassociatesinc.com.